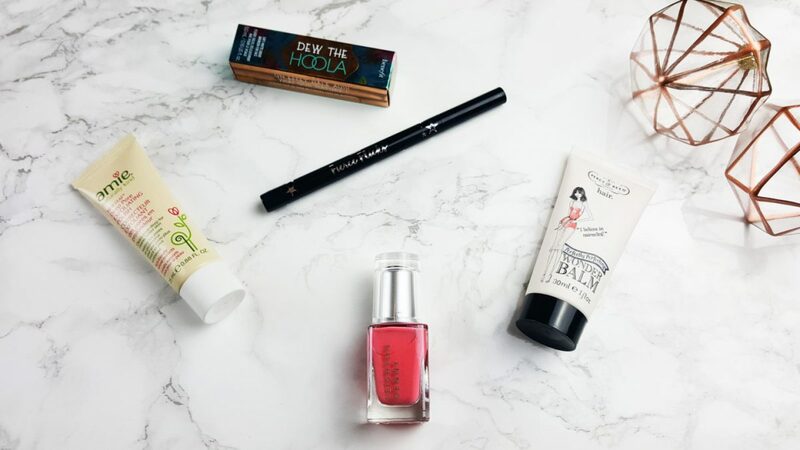 December’s Birchbox is a festive red design and the team at Birchbox have picked out a selection of beauty treat with Christmas and New Year in mind. 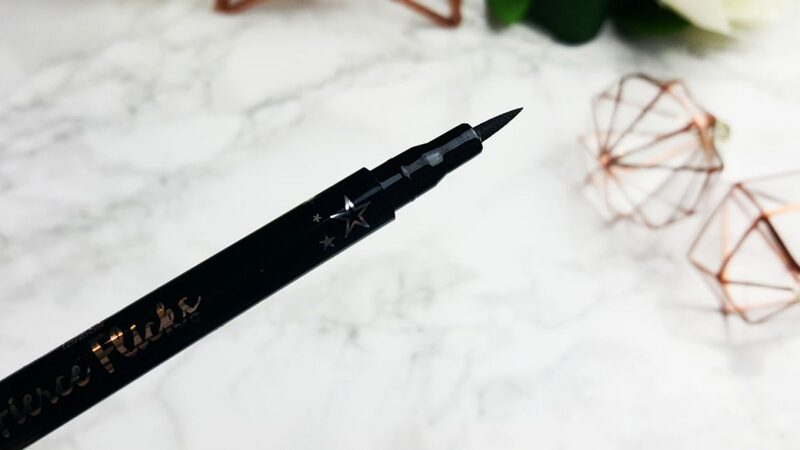 It’s a rather gorgeous felt tip liner and perfect for a precision cat flick or a bold wing. 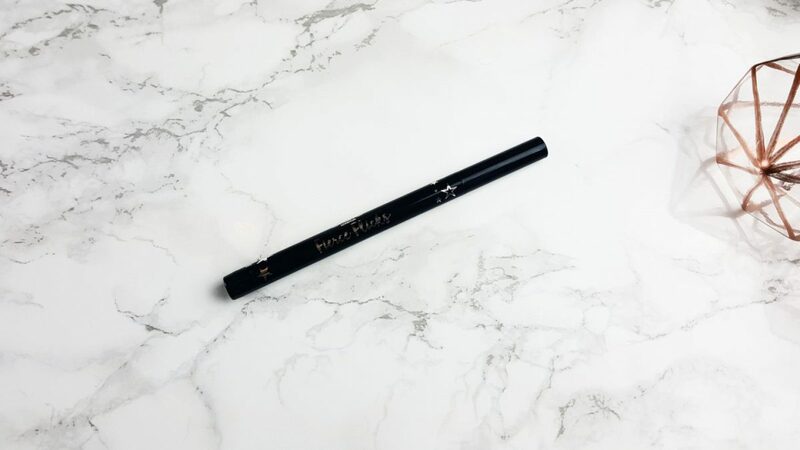 Anything that makes the application of eyeliner easier gets a thumbs up from me! 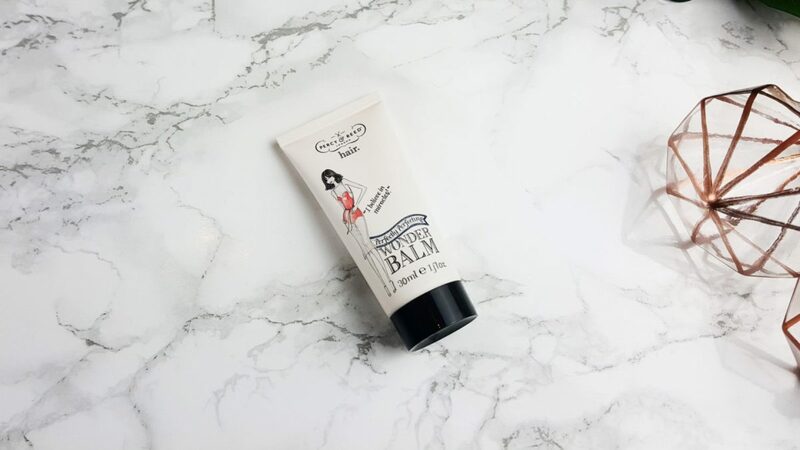 You can use this Percy & Reed Perfectly Perfecting Wonder Balm (RRP £18.00 for full size) on towel dried hair to smooth, shine, soften and protect it from root to tip. It will also moisturise your hair and speed up styling. A great multi-tasking product that is perfect for the party season. 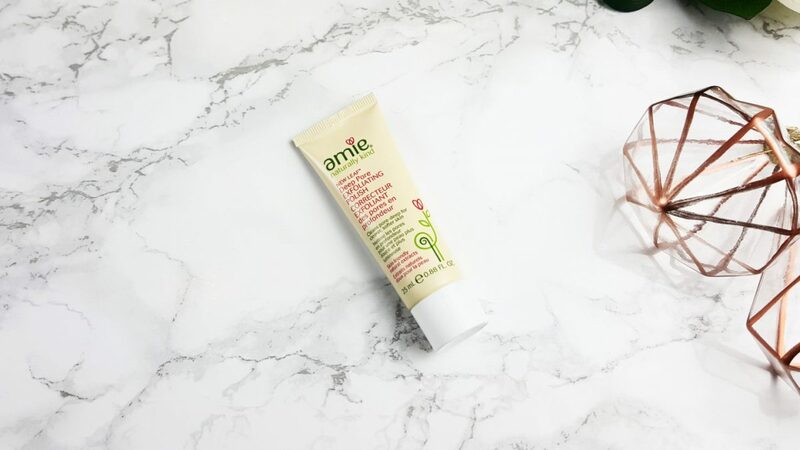 Nothing against Amie Skincare but I’m getting a little bored of seeing their repeatedly in different beauty boxes. I’m not knocking the brand or range; their skin care products are lovely. I’m just fed up of seeing them so much lately. This is their ‘NEW’ Leaf Deep Exfoliating Polish (RRP £5.95 for full size) A deep cleanser treatment contain rice granules to wash away dirt and dead skin. 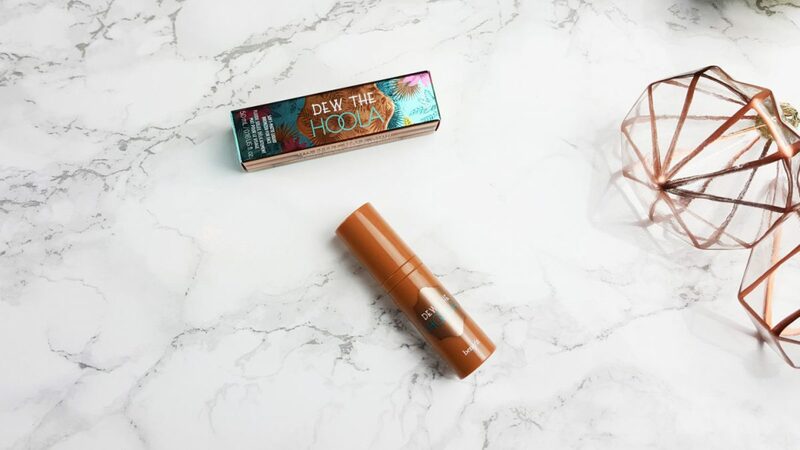 Benefit’s Dew the Hoola (RRP £22.50 for full size) also makes an appearance in December’s Birchbox. Benefit’s best-selling bronzer in liquid form; giving you a natural, sun-kissed glow. 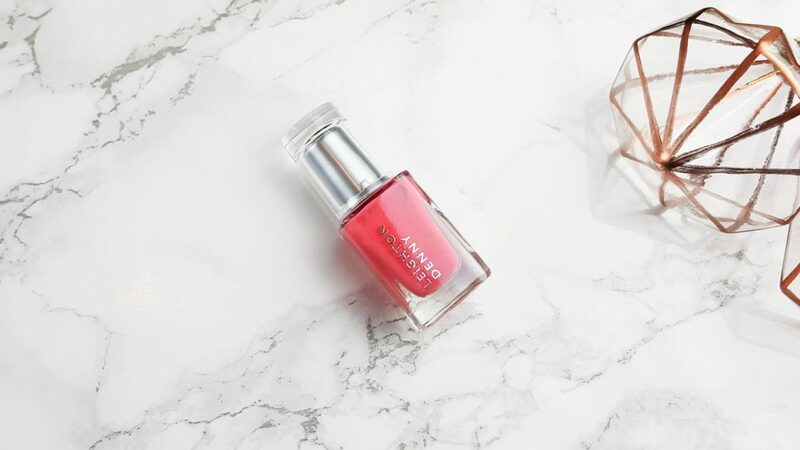 Lastly is this pretty Leighton Denny Nail Polish in Just Perfect (RRP £12.00 full size) It’s a really pretty colour and the formula is supposedly long-lasting and chip resistant. December’s Birchbox is a pretty decent box for me. I didn’t love it but I didn’t hate it either. It’s like the products were all good products but none of them got me excited to try. Like I said, as much as I love Amie Skincare products, I am just a tad fed up of seeing them so much in beauty boxes lately. It’s been quite boring and repetitive for me. I was only ever going to subscribe for 2 or 3 months so I could try out 2 or 3 boxes, so December’s box is actually my last one and I have now cancelled my subscription. I may subscribe again at some point. Who knows! Each 100 reward points can be redeemed for £10.00. Each £1.00 spent will earn 1 reward points. 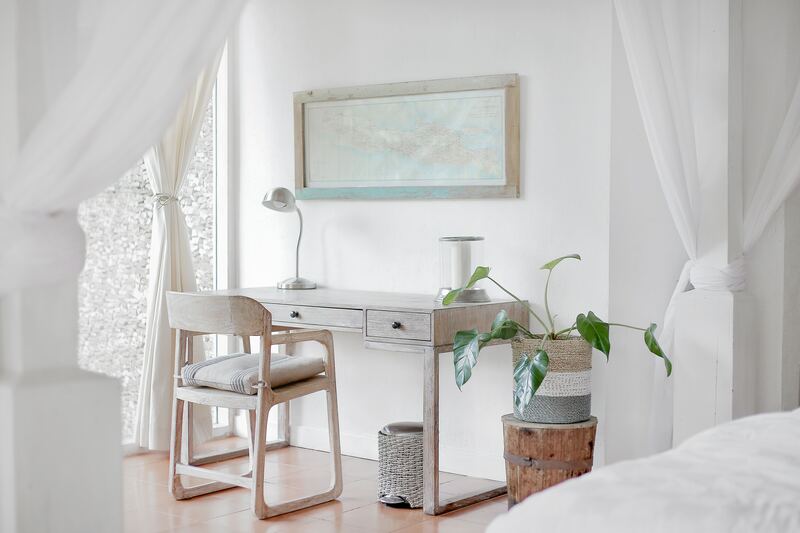 WHERE CAN I BUY BIRCHBOX?